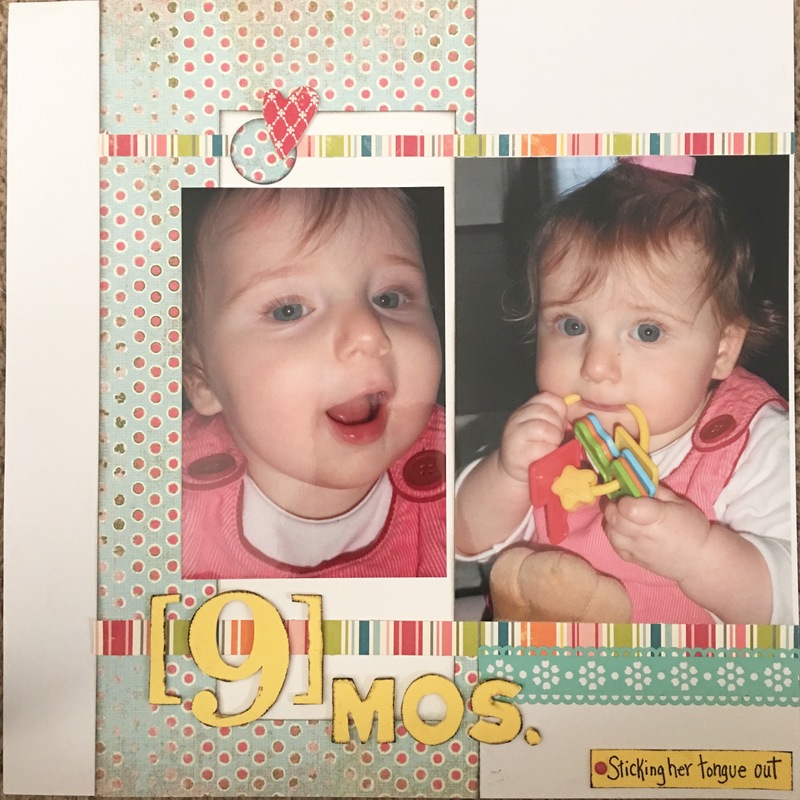 I wanted a layout that would capture the expressions of my niece Olivia and all the little quirks she had at this age. I’m so glad I did! At age 5 I catch her all the time with her tongue out, when she gets nervous or she is concentrating. So cute to look back now and see how she did the same as a baby! Sometimes I just don’t have the time (or thoughts) for too much journaling, and I found using bullet points is a great way to save the memories and time. 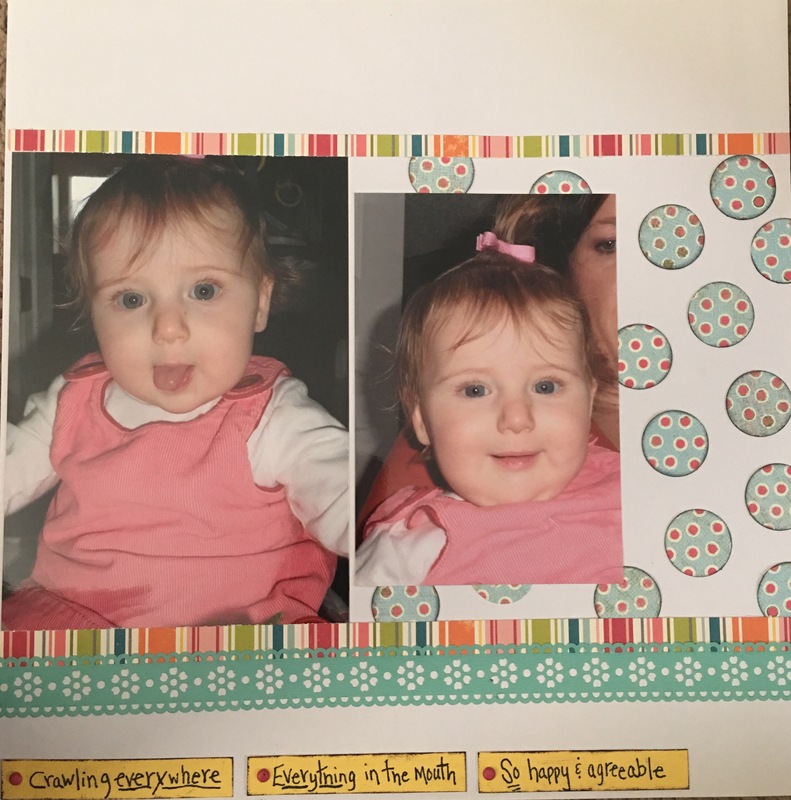 Reading this, it transports me back to those days, yes everything went in the mouth and she was a truly happy baby, always smiling, always crawling and into everything at her Aunt Maggie’s house! Great way to reflect without too much work.